The Baltimore Orioles have been a nice early-season surprise, but I don't believe they have the starting pitching to stay atop the AL East, no matter how much they mash. Thus it seems like a wise gamble to sign free-agent right-hander Kyle Lohse, who is likely to agree to terms soon with the Birds. Lohse was pretty bad last year in Milwaukee with a 5.58 ERA but he was a very good pitcher from 2011-14 and is definitely worth a shot. At worst he's Baltimore's No. 5 guy who eats six innings per start. Only one current Orioles starter has an ERA under 5.06, and that's the unpredictable Ubaldo Jimenez, so they need to do something. Note: again no MLB trends available as of this writing. This is a getaway day game at 12:35 p.m. ET so I can all but guarantee you that a few regulars on each side don't start. It's Chad Bettis (2-0, 2.95) for Colorado and he has been very good his past two starts. The Rockies might actually be dangerous if guys like Bettis keep pitching well because they are going to hit. Last time out, Bettis shut out the high-scoring Cubs on three hits over six innings at Wrigley Field. Bettis has never faced the Reds. Cincinnati goes with Opening Day starter Raisel Iglesias (1-1, 3.24), which tells you all you need to about that rotation. Iglesias was tagged for three runs over five innings last time out at the Cubs. He has never faced the Rockies. Early lean: Reds and under. You also are likely to see some regulars get this game off on both sides with a 1:45 p.m. ET start after a night game. Kyle Hendricks (1-1, 2.84) gets the ball for Chicago. He has allowed exactly two runs in each of his first two starts but has yet to make it past 6.2 innings. Hendricks made one start against St. Louis last season and took a no-decision after allowing four runs and six hits in five innings. He has a 4.91 career ERA at Busch Stadium. Matt Holliday, who hasn't done much yet this season, is 6-for-12 with two homers and four RBIs off Hendricks. Matt Carpenter is 6-for-10 with a homer. So I'm guessing those two stay in the lineup. The Cards' Carlos Martinez (2-0, 3.46) has gotten the best run support in the majors thus far. St. Louis has scored 14 and 12 runs in his two starts. Martinez was 2-0 with a 5.24 ERA in five appearances (four starts) last year vs. the Cubs. Red-hot Dexter Fowler is 4-for-12 off him. Struggling Anthony Rizzo is 3-for-12 with a homer and five RBIs. Early lean: Cardinals and under. ESPN national TV game and should have live betting at sportsbooks. Detroit's big free-agent deal with Jordan Zimmermann (2-0, 0.00) has certainly paid off so far. He hasn't allowed a run over 13 innings with just eight hits allowed. He has pitched on two very cold days, it should be noted. That benefits pitchers. Zimmermann had spent his entire career with Washington so he hasn't faced a ton of Royals. Kendrys Morales is 2-for-3 with an RBI off him. Mike Moustakas and Alcides Escobar are each 1-for-3. The Royals also lured Ian Kennedy (2-0, 0.66) from the National League on a fat free-agent deal this offseason and that has worked out well thus far too. He has allowed one run and seven hits over 13.2 innings. Kennedy looks more like the 2014 version of himself with San Diego than last year's. Detroit's Miguel Cabrera is 3-for-7 off him with two RBIs. Ian Kinsler is 5-for-7 with three doubles. Justin Upton has three hits, including a homer, in eight at-bats off him. Early lean: Tigers and over. Keep in mind that the Twins lose the DH here. Minnesota has placed third baseman Trevor Plouffe on the disabled list to join closer Glen Perkins. Plouffe was diagnosed with a right intercostal strain shortly after being removed from Sunday's game against the Angels. Not many Twins are hitting yet but Plouffe was batting .302 with two homers and a team-leading six RBIs. Eduardo Nunez will generally take over at third. Minnesota goes with lefty Tommy Milone (0-1, 5.06) here. He has allowed four runs in each of his two starts spanning 10.2 innings. He also has allowed two homers in each game. Only a few Brewers have seen him. Ryan Braun is 0-for-4. Chris Carter is 2-for-13 with a homer. Jonathan Villar is 3-for-6. Milwaukee's Jimmy Nelson (2-1, 2.79) has opened the season with three quality starts and has allowed only 12 hits over 19.1 innings. Nelson has never faced the Twins. Giants ace Madison Bumgarner (1-1, 4.50) had to face Dodgers three-time Cy Young winner Clayton Kershaw in his past two starts. And Bumgarner's Giants lost both. Now Bumgarner has to face another former Cy Young winner and a guy who was even better on the Dodgers than Kershaw last year, new Diamondback Zack Greinke. Bumgarner was 2-2 with a 2.06 ERA in five starts vs. Arizona in 2015. 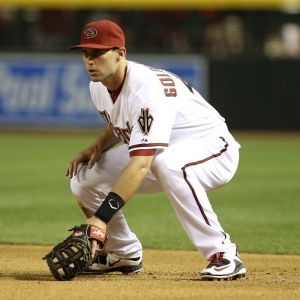 Paul Goldschmidt is a career .316 hitter off him with two homers and six RBIs in 38 at-bats. As for Greinke (0-2, 6.75), he has gotten progressively better if not dominant yet in his three starts. He held the weak-hitting Padres to two runs and six hits over 7.1 innings last time out. Greinke was 2-0 last year with a 2.66 ERA in three starts with the Dodgers against the Giants. Hunter Pence has two homers off him in 24 at-bats. Denard Span hits .303 against him with four RBIs.